Field Cottage is a deceptively spacious refurbished cottage, having a lovely, open-plan, light and airy living area, which leads through to the kitchen with doors to the garden. It is conveniently located in the heart of Docking village, set back from the road, with the advantage of a lawned front garden and a private walled back garden, as well as off-street parking for 2 cars. It is ideally suited for a couple or a family, with a comfortable double bedroom plus two single bedrooms upstairs - great for those who don't want to have to share a room! 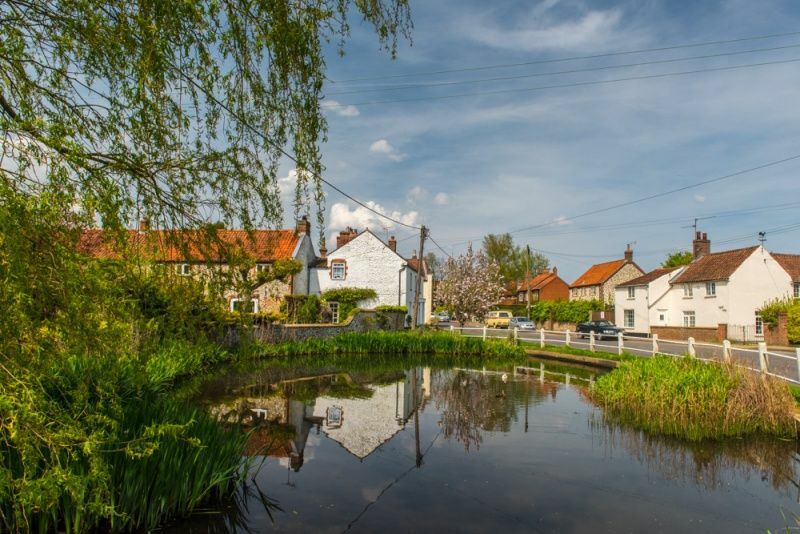 There's a village pub, shop, thriving fish & chip shop, children's playground and fishing lake, all within walking distance. The charming Georgian village of Burnham Market, plus the beautiful coast at Brancaster and Thornham being only 10 minutes drive away. Downstairs has been refurbished with an open plan spacious sitting and dining area with oak flooring, leading through into the kitchen. Kitchen: well-equipped with an electric oven, microwave, washing machine, slim-line dishwasher, fridge and freezer. There are doors leading out into the back garden. The stairs lead up from the dining area and are not steep (there is a hand rail). Bedroom 1: Double bed, bedside tables and lamps and a built-in wardrobe. Bedroom 2: Single room overlooking the back garden with a bedside table and lamp and a chest of drawers. Bedroom 3: Single room overlooking the back garden with a bedside lamp and a chest of drawers. Bathroom: Has a fixed shower over the bath, hand basin, heated towel rail and WC. There is a travel cot available if required (conveniently stored under a bed). There is a shingle private drive at the front of the cottage with parking for 2 cars. At the front is a lawned garden with a variety of plants. At the back of the cottage is a fully enclosed walled garden which is part patio and part lawned. There is garden furniture and a barbecue. 10 out of 10 for cleanliness and the garden. Clean and comfortable, feels like a home from home. Better than Expected. Had a much more spacious feel downstairs than we were expecting and the "Welcome Hamper" was a lovely touch which we were not expecting - Thank you from all of us 10 out of 10 for cleanliness - It was spotlessly clean 10 out of 10 also for the garden. The best bit was the fact we all liked it!! Also, the owners have ensured the heating is set to keep the property very warm and cosy. This was very much appreciated by ourselves as not all rental properties will do this. We hope to come again and would recommend this property to others too. Pics of the downstairs in particular do not do it justice. Upstairs has been refurbished in a more modern style since photos were taken. Very light and tastefully furnished with some lovely pictures. My second stay at this very comfortable dog friendly cottage. It is superbly situated to be convenient for beaches and town. It was beautifully clean when we arrived and the garden was very good being really secure for the dog. Lovely Cottage - Weather has been beautiful - cold and frosty. Love Burnham Market! Fantastic meals at The Orange Tree, Thornham and The Duck, Stanhoe. A lovely place to stay in the perfect location to explore the local area. Great Walks along Brancaster Beach and a visit to Burnham Deepdale's Christmas Market is a must. Nice stay in a good cottage. The Orange Tree in Thornham highly recommended for food. Fantastic weather and great walks along the beach to sea the seals at Blakeney Point. Lovely food at The Railway Inn. Thanks for a very comfortable stay. Still love The Hoste in Burnham Market for a meal and Victoria at Holkham. Found Tichwell dog friendly RSPB! Also PYO apples at droves Farm Thornham. Such a great holiday. Can recommend The Duck Inn, amazing food! We also rented a beach hut at Old Hunstanton Beach just wonderful. 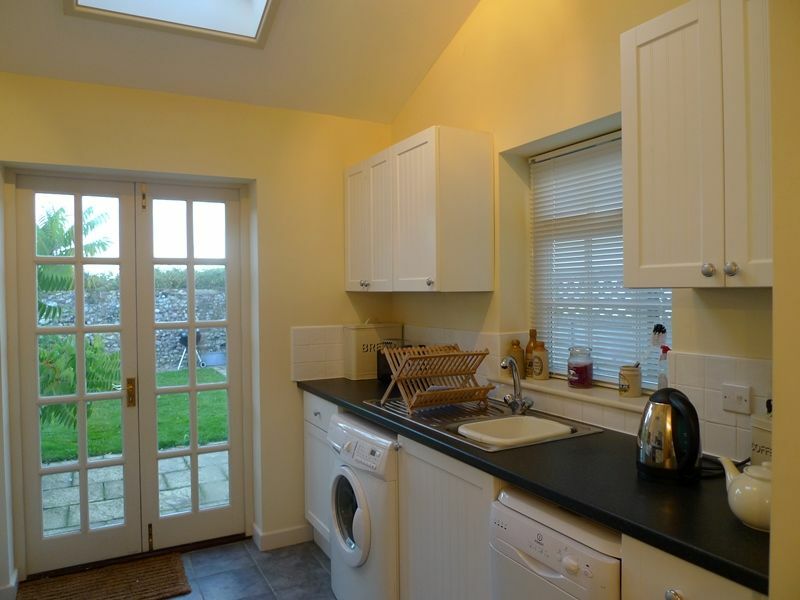 "A very comfortable ,well appointed and spacious cottage. Just what we needed at this time of The Year"